Be on external web pages that are relevant to your niche. Be From pages that are higher ranked than yours. Use anchor text that is an actual keyword that you want to rank on rather than merely ‘click here’. Make content for your readers and not for search engines. Make sure that the meta descriptions for your web pages accurately reflect what is written about in those pages. The reason why this benefits your SEO is that Google penalises sites that have high ‘bounce rates’. Use keywords to create URL’s that are concise and that accurately describe the content on the page. Try to keep URL’s short, (configure them so that publish dates are not included: http://yourdomain.com/target-keyword-fun rather than http://yourdomain.com/2016/11/01/target-keyword-fun This means that people that want to share your page will not have to use URL shortening (e.g Bitly or Owly). Always use hyphens not underscores when creating URL’s. Use keywords in the Title Tag of your web pages making sure that any keywords appear first and that it is no more than 55 characters (for Google search engine). Targeting multiple key words on every web page is something that is extremely worthwhile. Here is an excellent video on how and why to do this. Make sure action oriented language is used in meta descriptions and that they are kept to no more than 155 characters. It is important that they also include keywords. See what elements of your web pages are visible to Google. This can be done by searching for your site on google and clicking the cached link which is the little green downward pointing arrow. After you click the arrow choose Cached and then ‘Text-only version’. You will now see what is visible to Google’s search robots. If there are large parts of your pages that are not appearing in cached view and you are not sure how to fix the problem, try giving us a call to see if we can help. 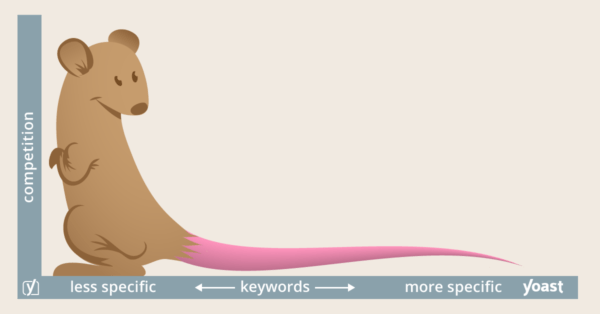 Focus on long tail keywords when building your SEO strategy. Long tail keywords or phrases are more specific and usually longer (e.g the word ‘blue’ is non-specific in comparison to ‘blue jeans’) than more commonly searched for keywords. Long tail keywords will in most cases have less traffic but a higher conversion rate because they are more specific. N.B: Use the Google disavow backlinks tool to disassociate yourself with backlinks on nefarious sites if they exist. Use a Rich Snippet plugin to make your web pages more eye catching and interactive when they are listed in search lists. However plugins such as rich snippets may slow down your sites upload speed which can negatively impact your ranking. To test how fast your site uploads click here. Make your blog posts between 300 and 1200 words long but as a general rule the longer a post is the better. The simple reason for this is that with more text on the page Google has a greater opportunity to determine what your text is about. Longer posts also make it possible to have lots of keywords, headings, pictures and links. Additionally it is likely that you will rank for multiple longtail variants of the key word you optimised for. Be aware that the more time someone spends on your site the better. Video helps tremendously in this regard as it is more successful than text in keeping the viewer’s attention. However as with plugins, there is a danger that your page may take longer to load as a result. Any video that is embedded onto one of your web pages will benefit your SEO as long as a video sitemap is created. For information click here. The video site map will mean that it will be indexed by Google’s search robots. Use lots of internal links within your site to keep them there for longer. Bear in mind that you can use a keyword as a link rather than click here – however always keep in mind that overuse of keywords will be penalised by Google. It also helps Google find other content inside of your website. Make sure your content is not being copied and reposted elsewhere. This is a very worthwhile exercise from an SEO point of view because when Google is asked to search for your work, it will see that it has been duplicated and possibly give you a lower ranking as a result. You can check by entering a sentence or a couple of words from one of your posts into Google and searching for it with double quotes on either side of the words. Anil Gupta suggests repeating this process 3 or 4 times for each blog post – if you see instances where your content has been copied, check to see if proper credit has been given to you. A free online tool to help you determine if and where your content has been copied can be found here. Create transcripts for video and audio content. If transcripts/subtitles are displayed as the audio or video file plays, your website will benefit in terms of SEO as long as keywords are being used of course. Search for your business on business listings and review sites. It is possible that you will be unaware of some of the directories on which your business is listed. In these instances your details will likely have been added by the directory themselves, so it is important to check that your information is up-to-date and that there is a working link to your site. It is also worth keeping a spreadsheet with all of the listings on which you appear, together with the relevant user names and passwords. Large businesses should consider signing up for a citation tracker tool which will notify you of when and where links to your site are posted on the internet. What will exSite do for your sites SEO? We will install the Yoast plugin to your website which will help you further determine whether or not your content is fully optimised for Googles SERPs. Using our Google Adwords account we will give you an accurate report on what keywords will drive the most traffic to your site. We will advise you on creating title and meta descriptions to make sure your listing on Googles SERP stands out from your competition. We will check to see if all of your web pages are linked together – your site will rank higher if they are. We will create a sitemap that will enable search engines to easily find and classify content on your site that they may not have found on their own. which pages are most popular and why.